Marcel Marx has seen better days. He was a bohemian once, he lived in Paris and, in his words, he was an accomplished artist. Now he has given up his ambitions, he works as a shoeshine and lives with his wife Arletty and his dog Laika in a decrepit neighborhood of the maritime city of Le Havre. One day, Marcel’s routine is upset: Arletty is diagnosed with cancer and has to be hospitalized, while the man finds himself involved with a young African refugee, Idrissa, who is trying to reach his mother in London. A situation that would have been overwhelming for most common people doesn’t really seem to concern good old Marcel. With the help from the most unlikely accomplices and before the police finds out about his little friend, Marcel has to devise an escape plan for Idrissa. Kaurismäki’s Le Havre is a surreal and heartwarming tale depicting how pure human solidarity solely based on genuine sentiments can still be possible, even in our indifferent and turbulent times. As usual, Kaurismäki cleverly conjures an incredible collection of unforgettable characters: above all Marcel, the positive hero who, in spite of his ineptitude, has a confident and somewhat naively optimistic outlook on life. The characters’ development in Le Havre is minimal and never takes a realistic direction. The environment Marcel and the others inhabit is also suitably a sort of imaginary place, made of preposterous distances and populated with suggestions not clearly defined. As figurines from old-time tales, Le Havre‘s characters are following motives that are most of the times completely unfathomable. Nevertheless, we are immediately drawn to them and their actions. Another recurring theme that makes a comeback in Le Havre is that of evasion. 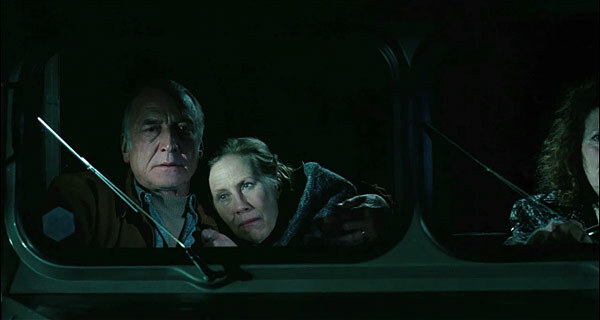 All Kaurismäki’s films are constantly dealing with escapism. In Le Havre young Idrissa is the one who’s trying to break free from his unfortunate situation, but several other characters seem to be running away from something, being it a difficult relationship or an encumbering past. The film displays a beautiful cinematography and a delightfully timeless decor. The city of Le Havre is tinted and wrapped in atmospheres from the past: we get to see old cars, telephones, pieces of furniture, buildings; we see colors as they were before everything turned into a flashy digital splotch. Just a few clues here and there indicate the story is set in contemporary times, like the Euro used as currency and newspapers blaming Al Qaeda for about everything. 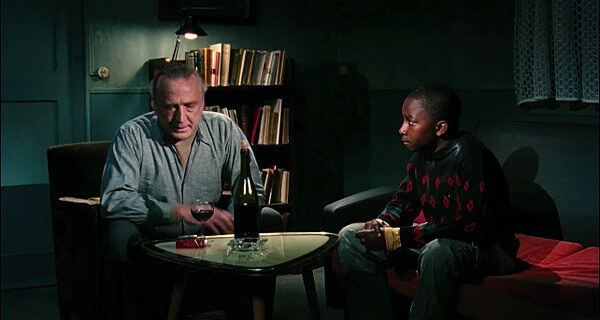 Aki Kaurismäki establishes a connection not only with the past, but also with his other films. Unsurprisingly, Le Havre is filled with many smart and sometimes hilarious references, which in more than a few cases are quotations from previous works of the Finnish film-maker (for instance: a dog, a boy and a derelict man… Do you remember the ending of Lights in the Dusk?). All actors deliver the performance we would expect them to: André Wilms and Kati Outinen as Marcel and Arletty are the classic wacky Kaurismäki-ish couple; Blondin Miguel as Idrissa and all the secondary actors also do a good job at reinforcing the utter sense of absurdity the films tries to convey. When Idrissa asks, “Is this London?” and Marcel replies, “Do you want to go there? It’s on the other side”, we are already aware of how the relationship among these characters is going to evolve. With Le Havre, Kaurismäki’s narration remains in the realm of idealism, taking a step further from what we have already seen before in films like The Man Without a Past. 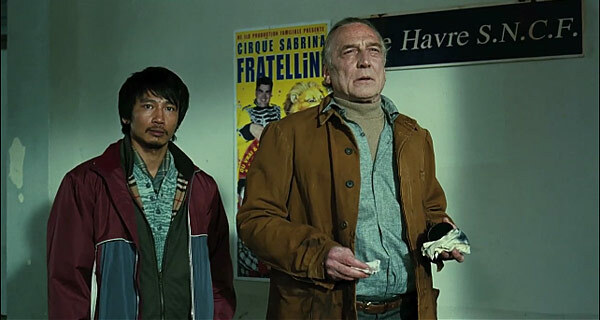 Le Havre is not Kaurismäki’s most refined work, especially if you are used to his style; the film feels sometimes too loose in its development, even by Kaurismäki’s standards, and it is definitely not as poignant as other unforgettable masterpieces from the Finnish film director. Yet, Le Havre is a highly enjoyable film and a refreshing gust of atypical humor that will lift your spirits. Even comedy is more and more inclined to take itself too seriously these days: one can’t be anything but grateful for Kaurismäki’s works. It”s a satisfaction to know that the old Aki Kaurismaki is still building one of the most coherents cinematographical works of these days.Always with few elements, a minimalistic but effective and affective approach to the characters of his movies, with short durations ,with few but always necessary movements of camera,and, above all ,an inmense love for their characters and respecting the intelligence of the spectator, without falling in the verbal and cinematographical excesses of “genial” directors like this bluff call Lars Von Trier.For me ,together with people like Lukas Moodysson in Sweden or Fridrik Thor Fridriksson in Iceland, Kaurismaki is the great master of contemporary nordic cinema.